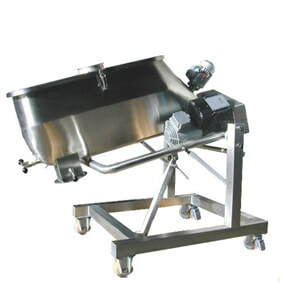 Powder and granule mixers, combining performance and user friendliness. 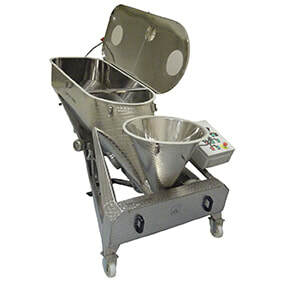 Manufacturer of batch mixers for powders and granules, we offer a powerful and unique mixing technology. The possibility of mixing powders with different bulk densities and granulometries or using the same machine to mix whether a small or a large batch are for example advantages resulting from our specially shaped mixing tank. 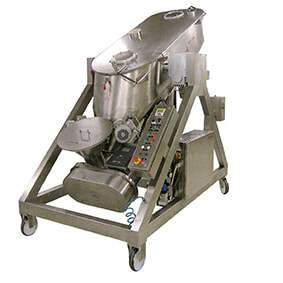 All Prodima mixers offer a high level of homogenization, short mixing time, low maintenance level and easy cleaning. They are also customizable with different options to meet the specific needs of each one. Our technology is well suited for food industries, food supplements, petfood, cosmetics, chemicals, pharmaceuticals, ceramics and any other high-tech applications. ​Visit us at an exhibition !